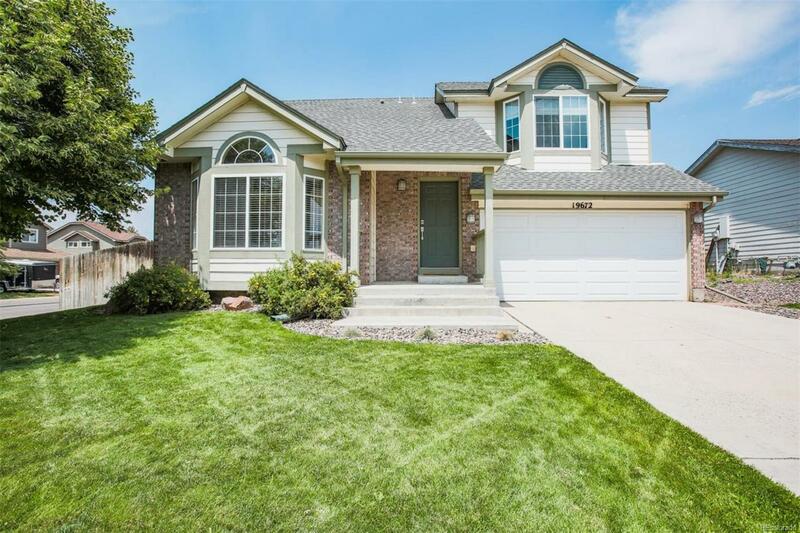 This Smartly laid-out 3-bed, 3-bath, nearly 2000 sq ft 2-story home located in the desirable Country Meadows of Parker is ideal for an active, comfortable lifestyle. South facing, this immaculately cared-for home is brimming with features such as a beautifully updated kitchen with slab granite countertops, stainless steel appliances, and glass-tile back-splash; then theres the vaulted ceilings, gas fireplace, hardwood oak flooring, two open living areas, and direct access to the backyard. Once outside youll enjoy the beautifully maintained backyard with grass lawn and patio area perfect for those summer BBQs and quiet afternoons. Other features include newly installed brand-new carpet, extra upstairs loft area, updated master bathroom, huge mature trees, an unfinished basement ready for your finishing touches; and all this only minutes from grocery stores, schools, parks, and everything else Parker has to offer! You can bet this place will meet your familys needs, and then some!